SWEET !! How close did you get? Or very big lens? 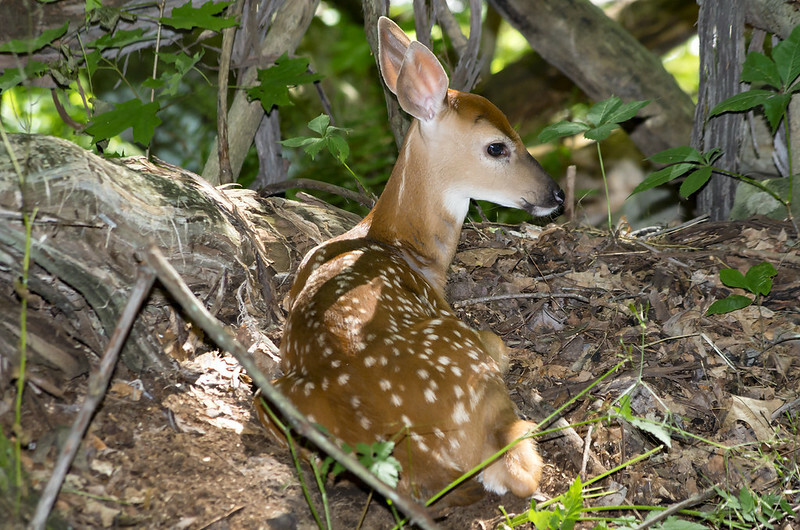 I was able to get pretty close by moving a step or two at a time and letting the fawn get comfortable with me for a couple minutes and repeating the process.Photo was with a Pentax 55-300 zoom at 260mm with a little flash thrown in.